You might not think that flies are much of a problem when you are trying to make your home as pleasant as possible. However, if you live in an area that is near a stagnant lake or near farmland, you might find that there are more flies than you can deal with. Here at District Screens, we have a quality selection of screens that you can choose from in order to make sure that flies are kept completely out of your home. 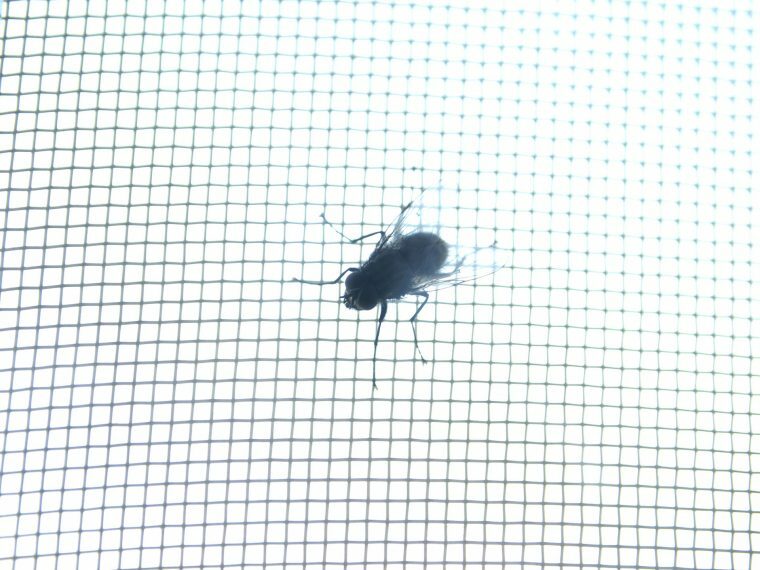 Why should you consider putting up a proper fly screen at home? When flies come into your house, they might fly against the wall and stick to the walls. This can look extremely unsightly and you might have to spend a lot of time getting them off the wall with a bucket of soap and water. You can avoid this frustrating problem by making sure that some of our quality flyscreens are put up around the house. You will notice that the number of flies which are sticking to the wall reduces dramatically. This will improve how the walls look, which will make your home feel much more habitable as a result. When there are lots of flies in your house, they will be attracted to the meals that you have served or the ingredients that are in your fridge. This can make meal times and food preparation quite unpleasant and you might consider eating out at restaurants more often than you usually would. You can easily avoid this problem when you put up a fly screen outside the kitchen door. You will not have to deal with flies in the fridge or in your food anymore. Flies enjoy warm and dark environments, which mean that they love to nestle in drawers where your clothes are being stored. Holes and stains can appear on your clothes as a result of the flies getting into the drawers on a consistent basis. Put up a fly screen on various doors around your house in order to prevent this from happening. You will be glad that you made this decision because your clothes will stay in great condition for as long as possible. The flies can bother you when you are trying to relax in the living room. Reading a book or watching television programmes is difficult when there are buzzing around you. Once a fly screen or two have been installed, you will be able to sit in the living room comfortably without having to deal with these distractions. Putting up the screens will also make other people feel more comfortable about sitting in the living room. If you need to have a fly screen installed, send District Screens an email today!